Are you seeking for IDBI Recruitment 2019? Industrial Development Bank of India has released vacancy notification at the official website. The Department is going to recruit aspirants on 800 Executive & Assistant Manager Posts. The Registration will be started from 29 March 2019. Applicants can fill up their application form up to the Last date i.e. 15 April 2019. Candidates who do their Graduation with minimum 60% can apply online for IDBI Vacancy 2019. Applying contenders have to Rs. 700/- as an application fee. The Department will Charge only Rs. 150/- as an application fee to the SC/ST/ PWD Category participants. Fresh Update as on 09.04.2019: Applicants who want to apply for IDBI Recruitment can apply from here. The Department will be the closing date the online registration 15.04.2019 for IDBI Assistant Manager & Other Vacancies. How I Check pay Scale, Application Fees & Selection Criteria For IDBI Bank Executive Jobs 2018 ? What is the Exam Fees, Pay scale & Selection Method ? Graduation in any Subject with minimum 60 % Marks from recognize university. Candidates can pay their application fee through online mode only. What Is The Pay Scale For IDBI Recruitment 2019? The Selection Candidates will be placed as three years of contractual service, in this period they will get a given below salary. After the completion of contractual service period candidates will get permanent. 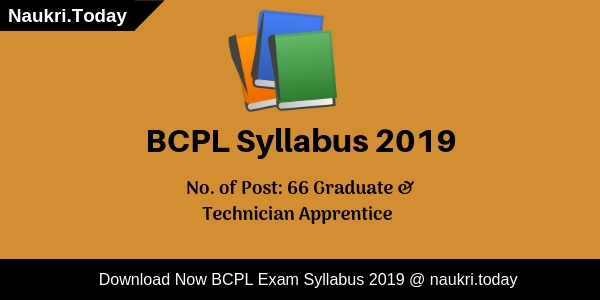 For more details, aspirants should check official IDBI Notification 2019. Conclusion: Industrial Development Bank of India has released notification for 800 Assistant Manager & Executive Vacancies. Applicants may check here eligibility criteria for IDBI Recruitment 2019 from here. Interested applicants may apply online for IDBI Bank Vacancy 2019. 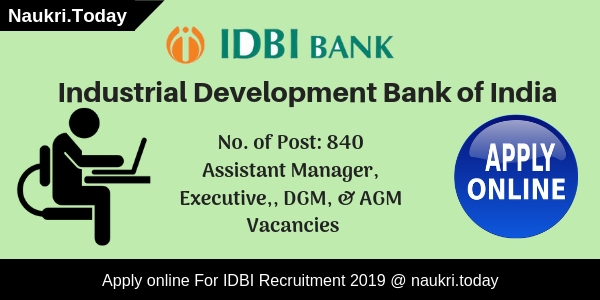 IDBI Recruitment 2019 – Industrial Development Bank of India has released notification for recruiting candidates on 40 Manager, DGM, AGM, & Other Vacancies. The Registration Process is going to begin From 26 March 2019. Interested applicants may fill up their application form for IDBI Jobs 2019 before the last date 08 April 2019. Minimum Qualification required for Manager & other vacancies is Graduation/ Post Graduation. Participants who belong to General & OBC Category have to submit Rs. 700/- and SC/ST/Ex-serviceman will pay Rs. 150 for an application fee. Vacancy Name Manager, DGS, AGM & Other Vacancies. Post Graduation/ Degree from any recognized university. Minimum 2 years of experience in Banking. Participants should check here Post wise Pay scale for IDBI Jobs 2019. How To Apply For IDBI Manager Vacancy 2019? Aspirants should log on to the official website of Industrial Development Bank of India .e.i. idbi.com. Search for Recruitment section at the Homepage. Read complete Advt. Carefully and check eligibility criteria. Click on submit button for online registration. Conclusion: Industrial Development Bank of India has released notification for 40 Manager, AGM, & DGS Vacancies. Participating aspirants may fill up their application form for IDBI Recruitment 2019 from here. A re you searching Bank Jobs ?? If yes then here is important new for you. 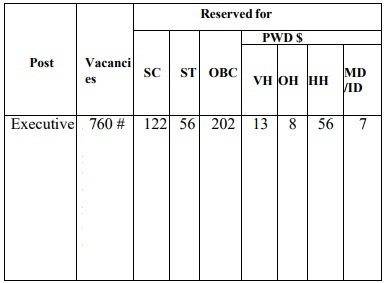 Industrial Development Bank of India (IDBI Bank) has now issued recruitment notification of 760 Executive vacancies. All the Job Seekers who are interested in IDBI Recruitment 2018 can fill application form for Executive Jobs here. Mode of Submit Application form if through online mode. You can submit online application for IDBI Vacancies on or before the last date, that is 28th February 2018. Industrial Development Bank of India is inviting online application for filling up 760 Vacancies of Executive. Online Registration for IDBI Jobs 2018 has been started from 06.02.2018. This is great job opportunity for all the candidates who want to make career in Banking sector. Applicants who are going to fill IDBI Bank Executive Jobs Online form must check required eligibility criteria from here. Rest of the details about IDBI Bank Jobs 2018 like Age, education, Pay Scale & Other is mention below. In the below section we are providing Category Wise Division of IDBI Executive Jobs 2018. To get more information about IDBI Bank Jobs Division then read the official notification. applicants who are interested in IDBI Recruitment 2018 can check required eligibility criteria from here, In the below section our naukri.today team is providing Education & Age criteria For IDBI Bank Vacancies & Further details you can collect by reading the official advertisement. Candidates must have completed Graduation Degree in any stream from any recognized University. Applicants should have done their Graduation degree with minimum 60% Marks (55% for SC/ST/PWD Candidates) for IDBI Vacancies 2018. Candidates of General/ OBC Category need to pay Rs. 700/- as application fees for IDBI Recruitment 2018. Other candidates of SC/ST/PWD must paid an application fees of Rs. 150/- for filling online form for IDBI Executive Vacancies. Fees must be deposited through online mode only. Written Exam will be objective type in nature. which is available in both Hindi & English Language. For more details about Exam Syllabus & Other you can check rom here. Keep stay with this page for more updates related to IDBI Bank Recruitment 2018. First of all candidates log on to the official website www.idbi.com. Now click on Career Section & Click on IDBI Vacancy Notification link. Fill all required information in IDBI Bank Recruitment Online form. take print out of application form future use. Conclusion : – IDBI recruitment 2018 for 760 executive vacancies. candidates can fill online form for IDBI Bank Vacancies on or before the last date 28.02.2018. Check more details about Executive Bharti by reading the above article or from official notification. Applicants are are searching For Bank Jobs here is a good news for you. Industrial Development Bank of India has released notification for recruitment of 111 Specialist Officer grade B,C & D Jobs. Candidates who are interested should check eligibility Criteria & apply online application form for IDBI Recruitment 2017 from here. You can submit IDBI Bank Recruitment Online Application on or before the last date 20.02.2017. Industrial Development Bank of India is inviting online application for recruiting candidates on 111 IDBI Specialist Officer Jobs 2017. Online registration for IDBI Bank Jobs 2017 will starting from 01.02.2017. Eligible candidates may submit online form for IDBI Vacancy 2017 before the closing date of online registration. For more information you can check given below details. Education qualification For IDBI Specialist Officer Vacancy 2017 : Candidates should have done Bachelor’s Degree/ Post Graduation in Respective trade for IDBI Bank Recruitment 2017. You can check post wise qualification details From IDBI Jobs Notification. 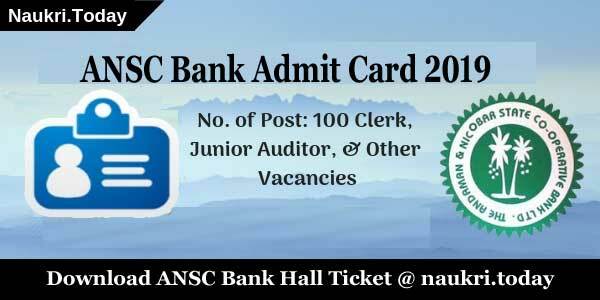 Age Limit For IDBI Bank Vacancy 2017 : Age of the candidates must be applicable as on 01.10.2016. Grade wise Age Limit For IDBI Recruitment 2017 is given below. 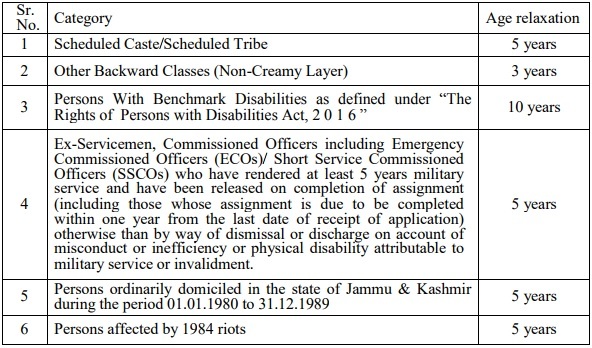 Age relaxation is applicable up to 05 years for SC/ST Category & 03 years for OBC Category candidates. DGM (Grade D) : Age of the candidates should be in 35 years to 40 years for IDBI Deputy General Manager Vacancy. AGM (Grade C) : Candidates age should be in between 30 years to 36 years for Assistant General Manager Jobs. Manager (Grade B) : Minimum age of the candidates should be 28 years & Upper age must be 32 years for IDBI Bank Manager Jobs 2017. IDBI Bank Specialist Jobs 2017 Application Fee : SC/ST/PWD candidates should paid Rs. 150/- for applying IDBI Jobs Online Form. Other category candidates must paid Rs. 700/- for filling IDBI Bank Application Form. Manager Grade B Jobs : Applicants will pay pay band Rs. 19000 – 1000 (17) – 36000 – 1250 (6) – 43500/- for IDBI Manager Jobs 2017. Assistant General Manager Grade C Jobs : Rs. 25700 – 1000 (1) – 26700 – 1100 (12) – 39900 – 1250 (6) – 47400/- will paid for selected candidates as AGM vacancy in IDBI Bank. Deputy General Manager Grade D Jobs : Selected candidates will paid Rs. 33600 – 1100 (9) – 43500 – 1300 (8) – 53900/- for IDBNI Bank DGM Jobs 2017. IDBI Bank Specialist Officer Jobs Selection Criteria : Selection of the candidates for IDBI Recruitment 2017 will based on Written Exam & Personal Interview for Manager Grade B & AGM Vacancy. For DGM Grade Grade D Jobs, Selection will be made on the basis of Group Discussion & Personal Interview. Department will conduct written examination for recruiting candidates on IDBI Vacancy 2017. Written Exam will be objective type in nature. Exam will contain total 175 Question of total 200 Marks. Written exam will available in both Hindi & English Language. There will be negative marking in exam. Candidates should get minimum passing marks for qualifying the exam. After that selected candidates called for Personal Interview. Final Selection will be made on the basis of Merit list. For DGM Vacancy Selection will be made on the basis of Marks Obtain in qualification, PI & GD. For more details about IDBI Bank Vacancy 2017 like Syllabus, Admit Card etc. you can check given below details. Applicants log on to the official website www.idbi.com. After that click on official IDBI Vacancy Notification link. Read all the details & click on apply online link. Fill all the details in online form without any mistake. Upload your recent passport size Photo in application form. Now Deposit application fee & click on proceed button. IDBI Recruitment 2017 for 111 Manager, AGM & DGM Jobs. Candidates can fill online application for IDBI Bank Recruitment 2017 on or before the last date, that is 20.02.2017.